Century Layered Wristwrap Boxing Youth Glove 6oz. Youth boxing gloves are a lighter version of an adults. 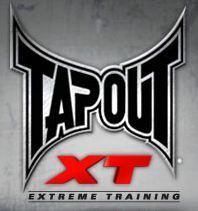 If your child has decided to take up boxing or MMA, you will need a solid glove. The success or failure your child experiences right off will most likely determine if he or she sticks with the sport. So...choose with care. Perfect for beginners, the glove is 6 ounces in weight. 6 ounces is light enough for a youngster to maneuver, light enough for repetitious movements, yet heavy enough to pack a punch. The gloves are versatile. 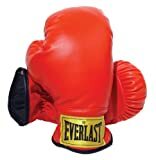 They are excellent for bag work and light sparring. A wristwrap makes a glove easy to get on and off which is a very important feature for children. It also offers extra protection and support to the wrist area which is imperative as well. The wristwrap on this particular glove is 3 1/2 inches and is made of special sythetic material. A hook and loop closure on the wristwrap provides good protection to the wrist and hand. This is important for children. It is convenient and allows for a perfect fit as well. 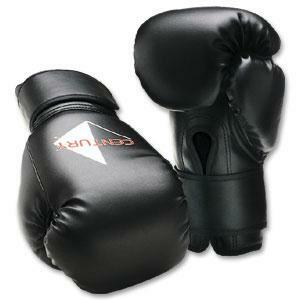 These youth boxing gloves also have a foam core with cushioned grip bar. The cushion on the grip bar is specially engineered to help prevent your child's hand from getting tired and cramped from the bar and that is important for little hands in training. Tied thumbs are actually a feature that stemmed from an old idea, from the 1920's in fact. The concept was a safety innovation to restrict the thumb from hyper extending accidentally when striking a target. The tied thumb concept eventually became standard for boxing gloves. Clearly a youngster would benefit from the protection a tied thumb brings to a glove. It's a must, especially for beginners. The glove is made of a vinyl outter shell and nylon lining which makes it durable yet affordable. 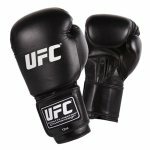 One of the best things about the glove is that it is made by Century, an long time MMA manufacturer. If you are looking for a great glove for your youngster that will offer safety, durability and affordability, you need look no further, this Century glove is a perfect fit.